Poll: Should the Queen apologise? The Queen will make the only speech of her Irish visit this evening. Do you think the word ‘sorry’ needs to feature in it? QUEEN ELIZABETH II is to visit Croke Park later today, the scene of the killing of 14 innocent people by British forces 91 years ago. 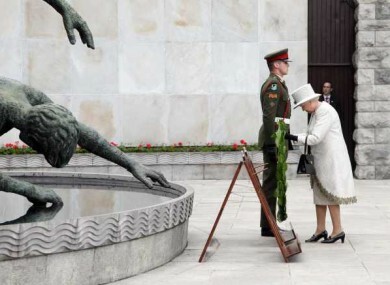 Although the Queen will refer to the difficulties in the past relationship between the two countries, she is not expected to apologise for anything in the only speech of her trip, which will be delivered at Dublin Castle later today. Last year, The British Prime Minister David Cameron apologised for Britain’s actions on Bloody Sunday. What do you think – should she apologise? Or will it be enough for her to merely acknowledge the past difficulties between the two nations? Or do you think it’s time we moved on altogether? Have your say. Email “Poll: Should the Queen apologise?”. Feedback on “Poll: Should the Queen apologise?”.